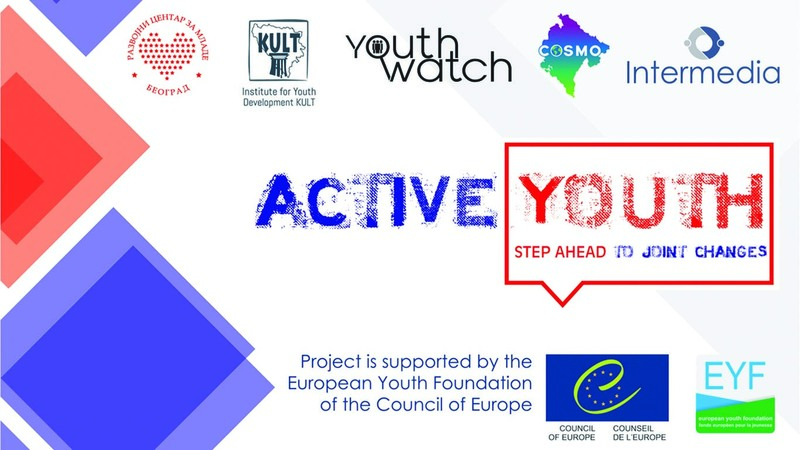 We proudly present the brochure that was created as a final result of the joint work of Development Center for Youth and Intermedia from Serbia, the Institute for Youth Development KULT from Bosnia and Herzegovina, COSMO from Montenegro and YouthWatch from Slovakia. We endeavored to integrate all the challenges we have encountered, conclusions and recommendations, experts’ opinions, as well as the opinion of activists and participants in project activities, and to present their stories created during this project and above all, thanks to it. We are open to all your comments and suggestions, as well as new cooperation in joint effort to encourage young people to be more active in the society. The publication of the brochure was supported by the European Youth Foundation of the Council of Europe.